I’ll be the first to admit, while I have been successfully running the Build Your Library business for six years, I still wouldn’t consider myself a “business-woman.” When Build Your Library started with its first 2 full level program offerings, the pricing structure was not necessarily forward thinking. I was at an awkward place. We … Continue reading "New Pricing Restructure"
Its that time of year again when we can start to announce our 2018 travel plans so you can try to attend a secular homeschool convention and catch Build Your Library in person. So far, we have 2 conference appearances scheduled. We will update this page if any new dates or events come up. [MARCH 2018 – Glen Allen, VA] … Continue reading "Build Your Library on Tour 2018"
For the fourth year in a row, Build Your Library has been nominated for the Practical Homeschooling Magazine Reader’s Choice awards! 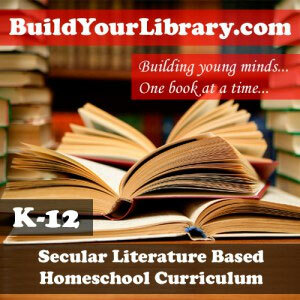 While I am not particularly one for receiving accolades, I really do appreciate being able to describe Build Your Library as an Award Winning Homeschool Curriculum! 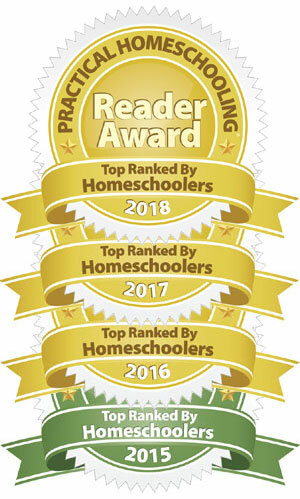 Three years ago, our first year nominated, we … Continue reading "2018 Practical Homeschooling Magazine Reader’s Choice award"
Every now and then a book goes out of print – sometimes it happens to several books… It’s the downside of creating and using literature-based curriculum. But when that happens, I do my best to find replacement books that are just as good, if not better. Unfortunately, three books in our Grade 2 curriculum recently all but … Continue reading "Updates to Level 2 – The Medieval World"
What exactly does the Build Your Library curriculum contain? If you are new to our curriculum programs, you may not yet be familiar with the layout of our secular, literature based homeschool products. Build Your Library prides itself on providing a time-saving and stress-reducing secular homeschool program for your family to use, full of meticulously chosen living … Continue reading "What’s in the Box?!?" Two years ago, we went to the 2014 N.A.S.H. (National Alliance of Secular Homeschoolers) convention in Atlanta, GA. Since then there really hasn’t been a good opportunity for us to attend a secular homeschool convention within a reasonable distance to us. But this year we are happy to announce two conventions we will be attending this year in … Continue reading "Build Your Library on Tour 2017"